Health care means more than just curing illness and healing wounds. At Goshen Hospital, helping parents establish a peaceful, positive relationship with their children fits well within the organization’s mission. Jennifer Van Fleet, Childbirth Education Coordinator at Goshen Hospital, brought an internationally acclaimed parenting education program called Triple P – Positive Parenting Program – to parents at Goshen Hospital this year, and so far the response has been, well, positive, with classes on common parenting challenges filling up with interested parents every month. As part of her job, Van Fleet would occasionally field calls from parents and community service providers asking about parenting education programs in Elkhart County. 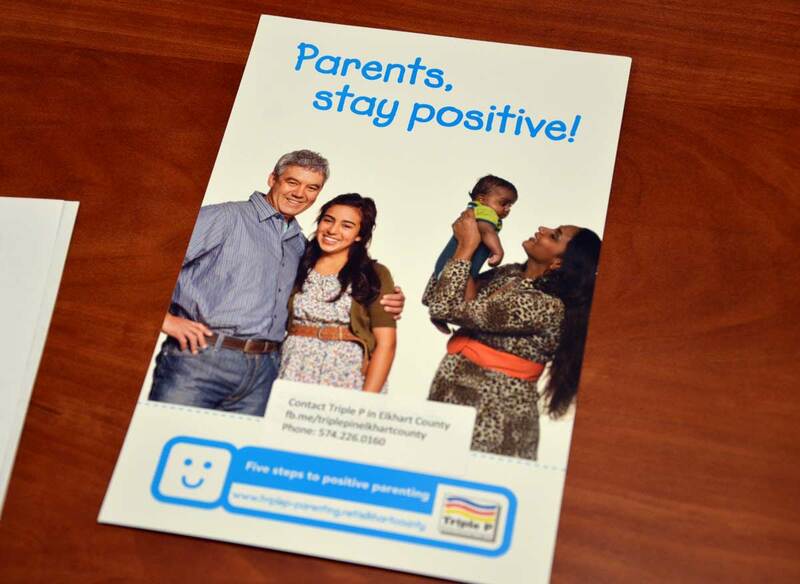 Van Fleet’s program director, Jennifer Haney, shared information about Triple P, which launched in Elkhart County in 2015 as a community initiative to normalize parenting education for every parent. 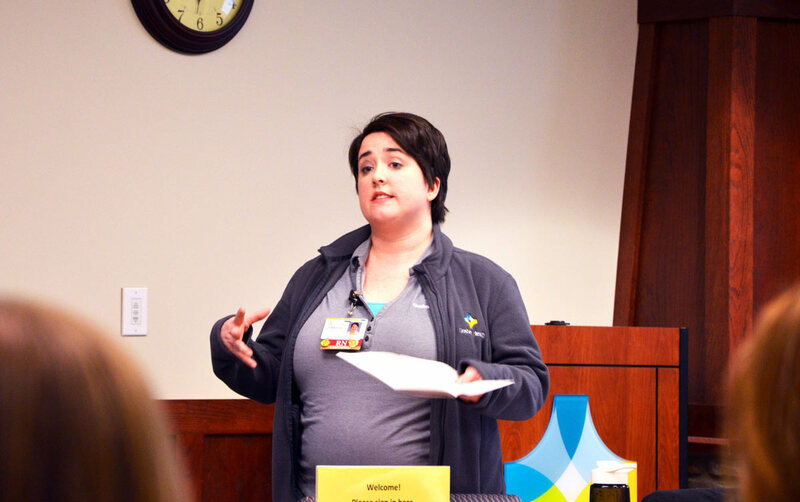 Van Fleet liked what she found in Triple P.
Van Fleet has been hosting free two-hour discussion groups at Goshen Hospital on a monthly basis. As she’s shared strategies and worked with parents on issues such as managing aggressive behavior, establishing good bedtime routines, and taking the hassle out of shopping with children, she’s seen only good things – for her students as well as herself. In the second half of 2017, Goshen Hospital is bringing even more Triple P offerings to the community. Triple P trained practitioner Claudia Goad will hold seminars about issues facing parents of teens and pre-teens each month in the room next to where Van Fleet leads the discussion groups addressing parents of children 0-12 years old.